We made it through the Daphne du Maurier Challenge together! Yay! I hope you enjoyed reading Daphne's work whether you were a fan or a first time reader. I enjoyed visiting your blogs and reading your thoughts on her books and stories. I plan on reading more of her books in the future and hope you will too. Thank you all for joining in! As a reward, here's some applause, with the exception of Mickey Rourke, he's too cool to clap. And now for the project. I was so pleased to see all those links you provided that I decided to give them a permanent home on the Daphne du Maurier Challenge blog. I'll continue to add my own reviews of her books there. 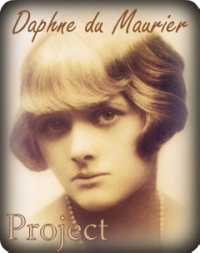 If you (anyone reading this regardless of whether you participated in the challenge or not) have a review you'd like added to the site, please leave your link and the name of the book in the comments of this post on the Daphne du Maurier blog. I read House on The Strand and enjoyed it so much! I often only hear about Rebecca or The Birds, so I am glad to be discovering more of her work. Have fun reading the rest of it. I enjoyed that one too. It was really different.